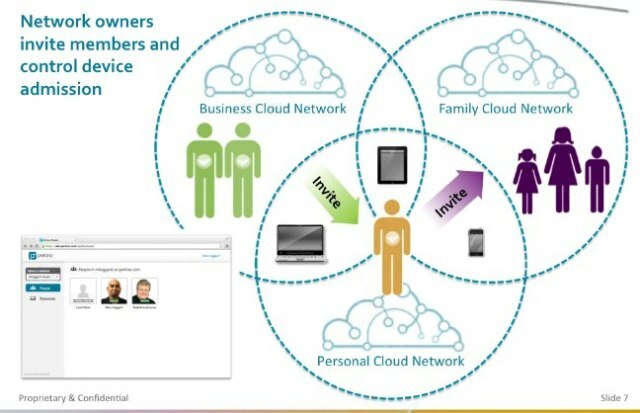 I thought a lot about simplicity at Cloud Connect this past week after a lunchtime chat with Pradeep Prabhu, CEO and Founder at CloudMunch. I had been skeptical of the CloudMunch service. It took me some time to understand how the company has automated the manual steps that developers have to take to get their apps ready to launch. CloudMunch offers what it calls a “GitHub to Cloud,” one-click functionality. Collaborating on code makes GitHub awesome but it’s a monstrous task when it comes to sharing code across multiple clouds. The company does this by offering a platform that allows for continuous delivery all in one SaaS app. It fixes a problem that nags at development teams. Code has to be continually tested, but in this new, distributed world, it’s a bit like herding cats. CloudMunch pulls it all together so developer teams can stay on track, do their test/development and deploy. There is a complexity in managing code, Prabhu said in an interview last week. What works on one cloud may not work on another. The code also needs to work on multiple devices. CloudMunch simplifies the process through its continuous delivery platform. Code gets delivered, deployed and then managed through real-time analytics and monitoring. These three features – fork, pull request and merge – are what make GitHub so powerful. Gregg Pollack of Code School (which just launched a class called TryGit) explains that before GitHub, if you wanted to contribute to an open source project you had to manually download the project’s source code, make your changes locally, create a list of changes called a “patch” and then e-mail the patch to the project’s maintainer. The maintainer would then have to evaluate this patch, possibly sent by a total stranger, and decide whether to merge the changes. This is where the network effect starts to play a role in GitHub, Pollack explains. When you submit a pull request, the project’s maintainer can see your profile, which includes all of your contributions on GitHub. If your patch is accepted, you get credit on the original site, and it shows up in your profile. It’s like a resume that helps the maintainer determine your reputation. The more people and projects on GitHub, the better idea picture a project maintainer can get of potential contributors. Patches can also be publicly discussed. GitHub abstracts the complexity of Git by turning it from a command-line tool to one with a web interface. Git, first developed by Linux Creator Linus Torvalds, has provided value to legions of developers. GitHub has made Git collaborative and an essential tool for developing apps in this increasingly distributed world. Opscode helps Facebook scale its infrastructure without deploying armies of IT employees. At Opscode’s heart is Chef, the cookbook of scripts that are used to automatically keep servers configured. Opscode simplifies how infrastructure is managed by automating the way machines interact. 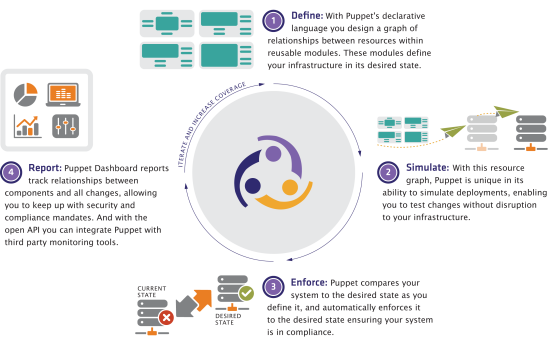 Puppet Labs IT automation software helps system administrators manage its infrastructure. It allows for the automation of repetitive tasks so administrators can deploy applications and manage change, scaling from tens of servers to thousands on-premise or in the cloud. Without offerings from companies like Opscode and Puppet Labs, there is no way companies could manage the complexities that come with Internet scale services or massively virtualized operations. Last month, New Relic launched the capability to monitor mobile apps with the stated purpose of helping developers get better reviews on app stores. The service, New Relic for Mobile Apps, visualizes in realtime how an iOS or Android app is performing across services, such as Facebook, different operating systems and in the variety of ways an app can be affected as it is used. By tracking the interactions, a developer can see in realtime how the app is performing and react immediately to fix what is not working. Without this kind of monitoring, a developer will often have to wait for bad reviews to come in before making improvements. New Relic has created a service that gives developers a fast way to better their apps, allowing them to focus on what matters more than reacting to what people say. It enables me to do things that I wouldn’t take the time to do. For example, we just found what I think is going to be our company’s new office and I’m going to ask Fancyhands to do a little research on the history of the building. I’ve been walking my dogs and listening to a podcast about something interesting, called Fancyhands to ask for additional background research and had a beautifully formatted collection of links to read in my inbox as soon as I got home. There’s something beautiful about taking a little bit of time to put a request into the system and seeing work that took more time that I invested come out the other side. We talk a lot about analytics but there are few services that make it as dead simple as SiSense. The platform is fast, has rich visualizations and is designed for the everyday user. Visual software tools will often integrate with expensive data-warehouse solutions that require expertise that most people don’t have. SiSense can process terabytes of data from a user’s laptop and present rich visualizations without any time-consuming integrations. Spanning makes it simple to back up Google Apps. Backup is not easy. Companies actually still use tape to back up their data. Spanning offers a one-click way to back up Google Apps in the original document format. Pertino has turned to AWS to offer companies a way to network their businesses without having to install expensive networking gear. The Pertino data plane routes internal employees or can be used to set up networks that companies can use to create micro-networks with customers. It’s managed through the company’s software defined networking (SDN) technology. SDN is the term for how software is abstracting and separating the elements of a network built on hardware. It symbolizes what is happening across the enterprise market. Software is replacing hardware as a means to deliver new services that are cheaper and better than what customers had the option to purchase. It’s similar to almost any market you can think of. You don’t have to go to the store anymore to rent a video. You can get it streamed over Netflix. The disc is becoming obsolete, as will, eventually, networking gear from any number of providers. Pertino also shows the importance that AWS and other cloud services have for many startups. Pertino’s service would not be possible unless there were data centers around the world that it could leverage to offer its SDN offering. 2600hz builds open-source software for developers to create services such as their own phone services or web apps. To do this on traditional telco infrastructure is pretty much impossible. But with data-center infrastructure, a telco or anyone else can use 2600hz to offer voice or text apps. The telcos use 19th-century systems with a business model just as old. Make a call and the telco charges you by the minute. But with data as the core, the model is changing to one not as much measured by minutes used but usage of the data itself. With 2600hz, the software can run in any data center and so the customer can choose their own telco network. A company developing a private video network using 2600hz software may use an AT&T network in the United States and Vodafone in Germany. 2600hz makes it simpler to be a telco and act like one, too. These services have a common underpinning. They all abstract complexity so customers can differentiate their businesses. In years past, companies employed armies of IT professionals and consultants to manage heavy, custom solutions. These solutions allowed companies to grow in ways that were not possible when thousands of administrative and clerical people were needed to type letters or use calculators to crunch numbers. That was a time when processes were heavier in human capital terms more than anything else. The business world be transformed with the advent of enterprise technology but the weight had been transferred to IT. Today the weight is getting distributed to tens of thousands of servers, making the apps more lightweight and nimble. The weight is still there but just in distributed networks of horizontally scaled machines across data centers around the world. How this distributed weight is managed over the next ten years will define a new work world that we are just beginning to understand.